What was the Eames DTW Wood L Leg Table? The Eames DTW table, the abbreviated name of the Dining (D) Table (T) of Wood (W), was the first commercial dining table released by Charles and Ray Eames in conjunction with the Evans Molded Plywood Company in 1946. 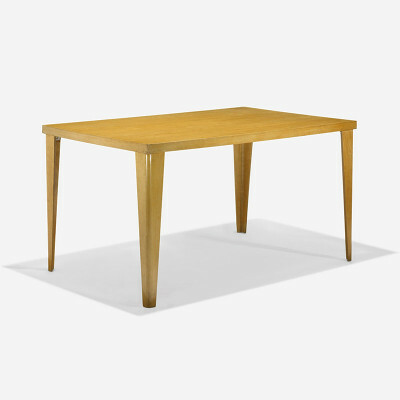 The table was released in two model variants which were defined by their shape, a rectangular large dining table (DTW-1) and a smaller square extension table (DTW-2). 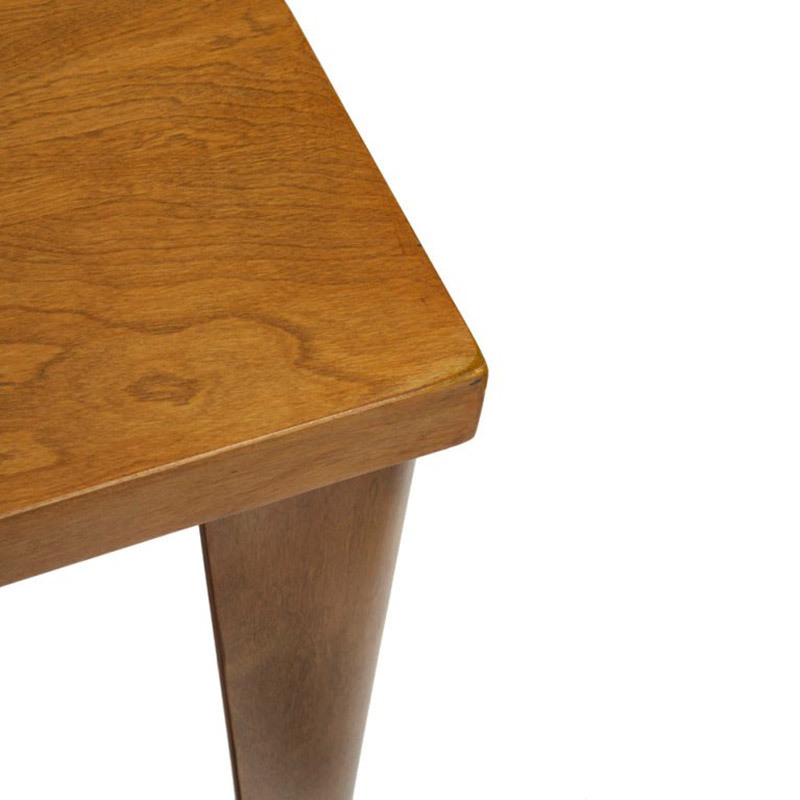 The Eames Wood L-Leg table would be made available in a range of natural wood veneers. The Eames DTW table had a fairly traditional look, both being completely made of wood and having high edges along the sides. But it is the leg sections that benefited most from the new molded material. 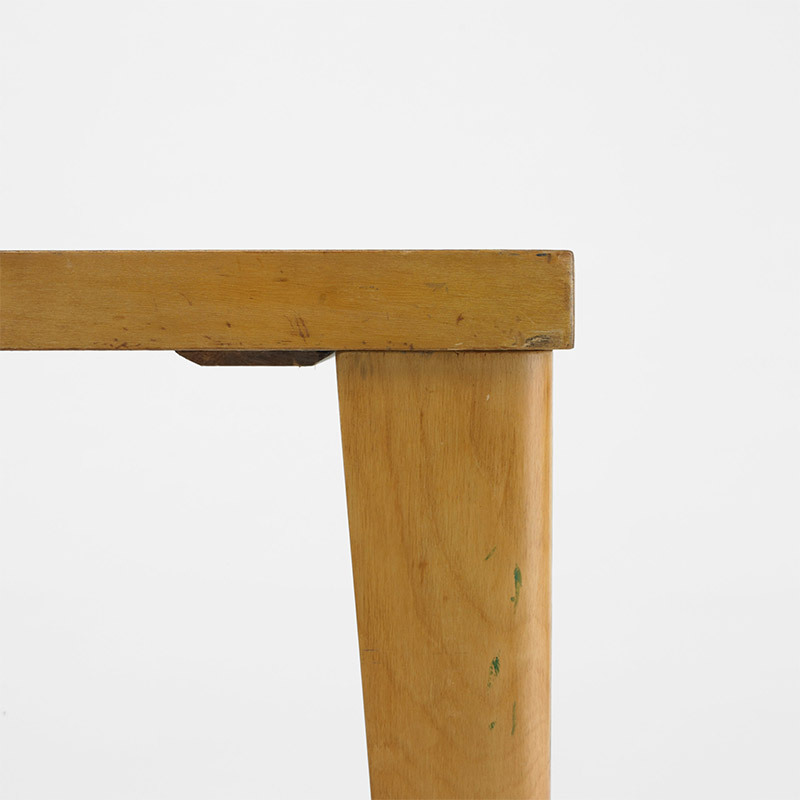 The legs, tapered in size from top to bottom were layered one piece constructions cleverly bent 90 degrees to form the standing section. These forms were deceptively strong and beautifully constructed, as well as being completely removable if unscrewed at the connecting plate. 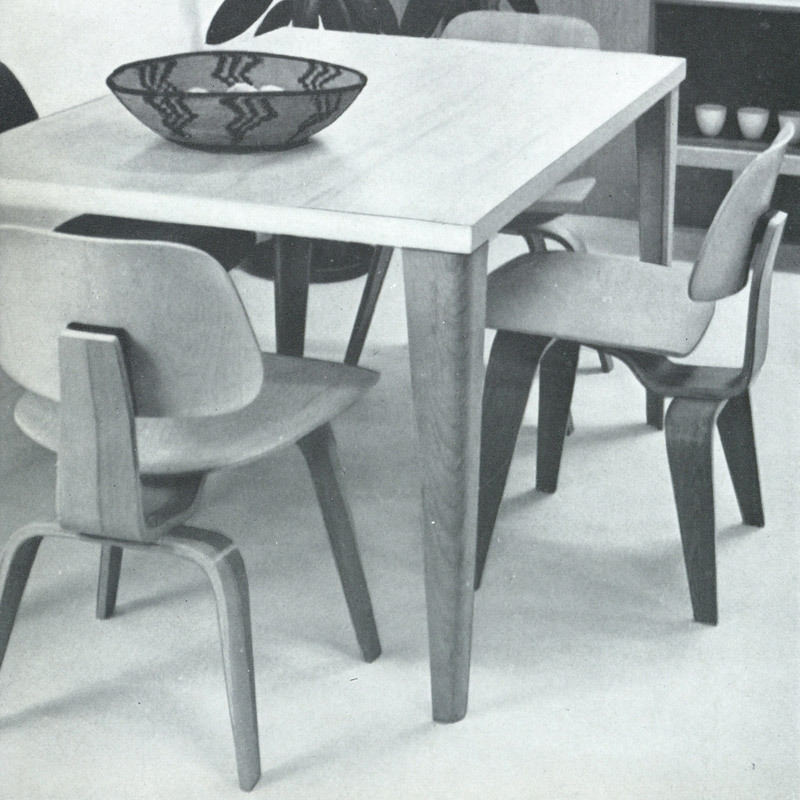 The early plywood series was proving to be a success with the DCM, DCW, LCM and LCW chairs all selling very well. The intention was to release tables with the same principal of the chairs, using the same top and having a choice of either wood or metal base (DTM). This did happen but there would be a year difference in release of the DTW and DTM and it would take a third party manufacturer to come in to complete the latter. Essentially, the Eames DTW-1 and Eames DTW-2 were first generations of the table with a second version replacing it after two and a half years in 1950. The second generation, with model numbers DTW-3 and DTW-4 were a direct replacement and a complete design change (the reason we are treating it as a separate design as opposed to a mere generation development). 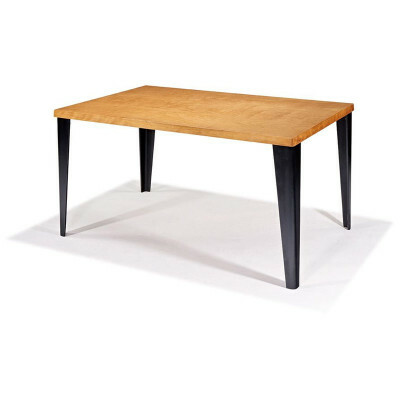 What are the sizes of the Eames DTW L Leg Table? Is my Eames DTW L Leg playwood table authentic? What makes it valuable? 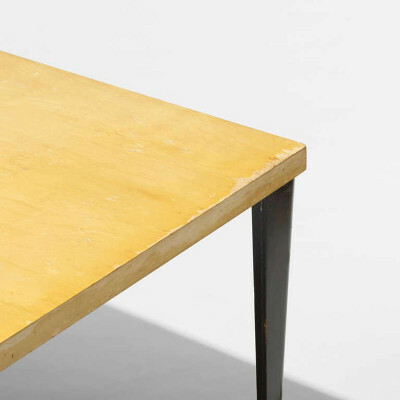 The Eames DTW tables had the model name and number etched to the underside of the top and are not generally seen with an Evans label but it is not impossible that one could be found. 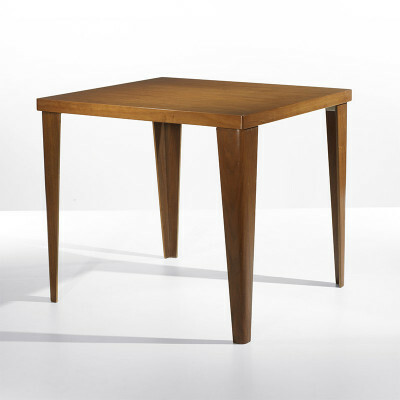 No known modern reproductions exist of this first generation DTW table meaning authenticity is all but guaranteed. The tables were only made for a two and a half year period and as such are rare. Over the years it is very possible many will have been destroyed. Due to its more traditional appearance and lack of labels, it is very possible that owners may not even realize what they have. 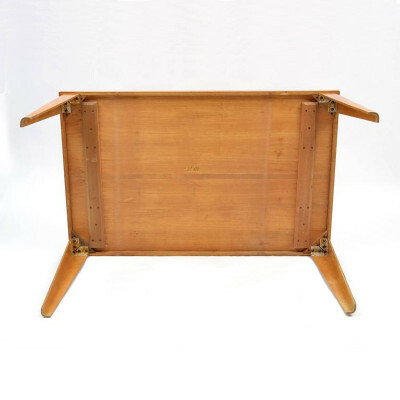 They remain one of the rarest Eames tables to find on the secondary market. Condition will drive the highest value when it comes to the DTW table. Check the sides and edges for chips, cracks and peeling of the veneer, all of which affect the value. It is also important to check around all four legs for cracking around the stress area of the bend. 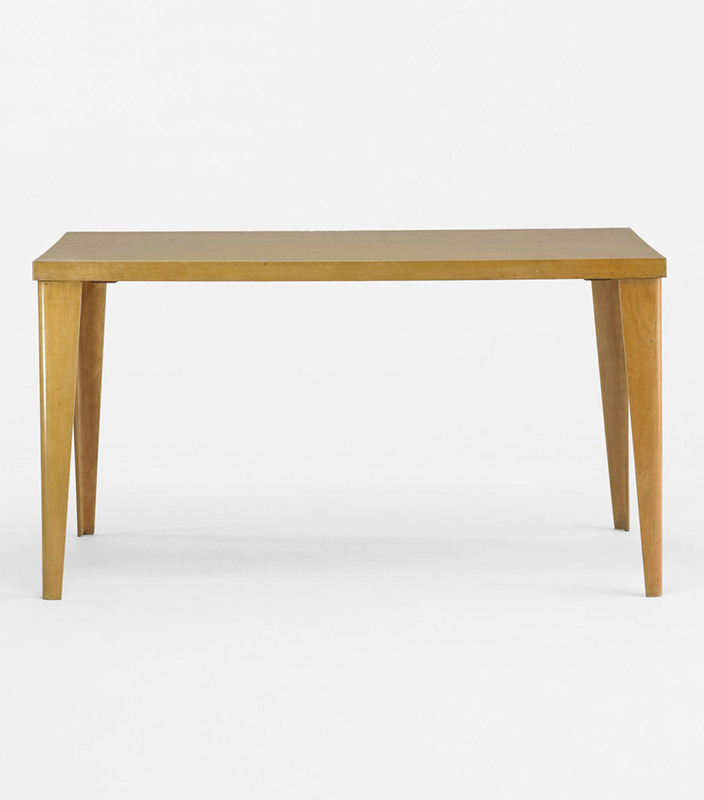 The table was made more in Ash and Birch than in Black or Walnut meaning those two options are rarer but the value differences are negligible. DTW tables with contrasting tops and legs tend to be very desirable and as such may well command the highest prices, depending on the condition of course. 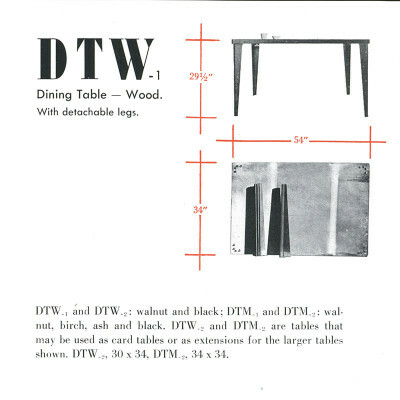 A 1949 Herman Miller catalog extract featuring the DTW. 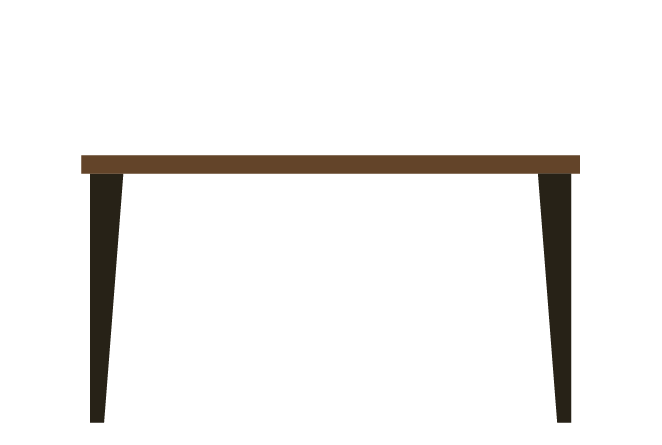 By this point the table was only available in 2 finishes.